Deremius Williams, vice president of provider solutions at Anthem. 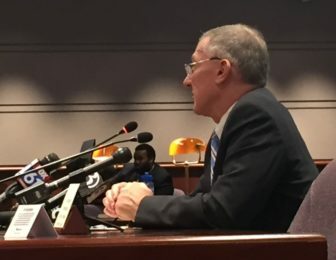 Connecticut state officials heard a renewed call on Tuesday for legislative action to avoid another disruption in health care like the one caused by the contract standoff between Hartford HealthCare and Anthem that lasted seven weeks starting Oct. 1. The Legislature’s Insurance and Real Estate Committee had scheduled a hearing before the two sides came to an agreement on Nov. 18, but decided to go forward with it despite the settlement. Some of the proposals discussed Tuesday included mandated mediation and arbitration, as well as requiring hospital-by-hospital negotiations rather than one health-network-wide contract. For those seven weeks, all services provided by Hartford HealthCare were out-of-network for Anthem policyholders. Lawmakers and health care advocates were flooded with phone calls and emails, including from residents with scheduled surgeries, pregnant women worried about their prenatal care and those with chronic conditions. Hartford HealthCare is the parent company of Hartford Hospital, and its network includes Backus Hospital in Norwich, Midstate Medical Center in Meriden, the Hospital of Central Connecticut in New Britain and Southington, Windham Hospital in Willimantic and Natchaug Hospital in Mansfield as well as Hartford HealthCare Medical Group and some substance abuse centers and assisted living facilities. The new agreement is retroactive so all Anthem customers who received treatment from Hartford HealthCare providers during the stalemate will be covered at in-network rates. 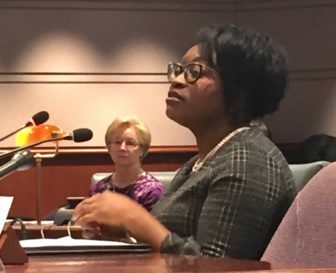 “I am relieved, like you, that the negotiations between Hartford HealthCare and Anthem have come to an end,” said Comptroller Kevin Lembo at the hearing. 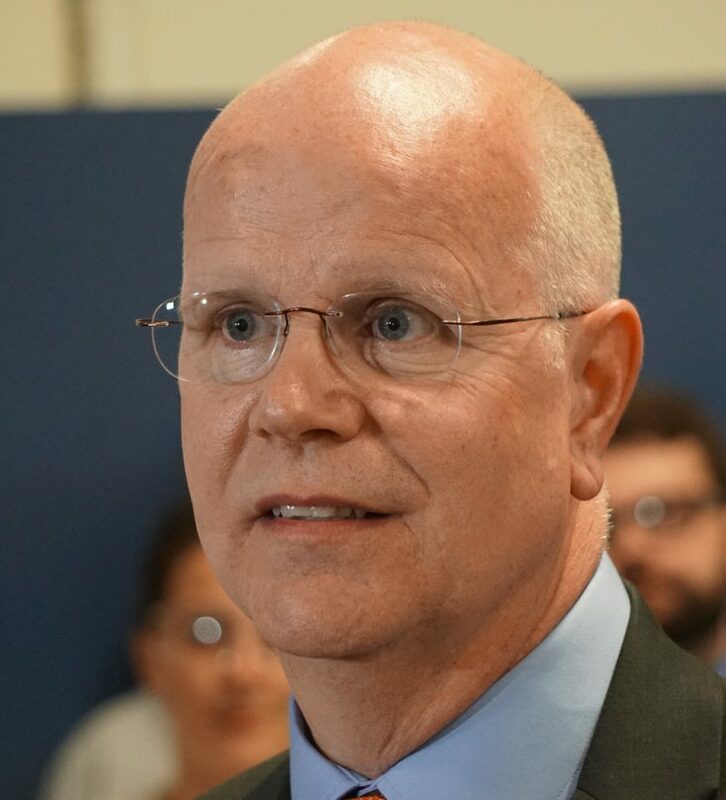 Lembo administers the health insurance plan for state employees and retirees, the state’s largest employer-sponsored plan. The dispute impacted about 50,000 of the 200,000 covered by the plan. He said state lawmakers should explore single-site negotiations, where components of a big health system would negotiate individually. He also suggested a 60-day cooling off period after expiration of any contract, during which parties would continue under the prior contract terms as they undergo mandatory mediation. In the event that mediation fails to produce a resolution within 60 days, parties should be subject to binding arbitration, Lembo said. Arbitrators would be required to consider factors such as affordability and quality of care in crafting a contract. “And finally, should one party reject arbitration – or any agreement – then that party, as in Medicare, should be forced to sit out for a calendar year,” he said. Looney, D-New Haven, said he plans to reintroduce legislation that would make these disputes subject to binding arbitration. He said the legislation also should require that physicians remain in-network and that patients be “held harmless” and pay in-network rates during the entire term of their policy, even if the contract between the insurer and provider has expired. An executive from each side was called to the hearing to explain the seven-week stalemate. Both apologized for the disruption and emphasized the lengthy impasse was not the norm. Dr. James Cardon, CEO of Integrated Care Partners at Hartford HealthCare, said negotiations with Anthem started in October 2016. “We have taken a similar approach with every other payer in the market and have been able to successfully conclude every negotiation without disrupting patient care, and we never intended to put patients in the middle of this, and we deeply regret how this affected our patients,” Cardon said. “In my view there’s no one but the parties that are better situated to understand the crucial business needs they need to continue to be successful,” he said. Dr. James Cardon, CEO of Integrated Care Partners at Hartford HealthCare. “I think there are things we can do to plan ahead, to ensure that collectively we and the provider are thinking about what it is that we’d put in place to ensure members aren’t disrupted,” she said. Rep. Sean Scanlon, House chairman of the insurance and real estate committee, said after the hearing that he didn’t get a thorough explanation of why the parties thought the dispute went on so long. “I didn’t get any reassurances from them today that this problem won’t happen again, so some action is warranted here to protect the consumer,” Scanlon said. 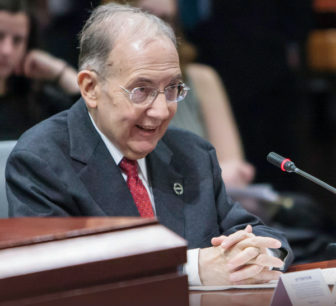 “Between now and February, when we go back into session, we have to take a look at the various proposals and then have a discussion about that as a committee,” he said. State Healthcare Advocate Ted Doolittle’s office received dozens of phone calls and emails during the impasse. In a Monday interview with CT Mirror, Christina McCluskey, 44, of West Hartford, said she has had chronic back pain for years. After the Oct. 1 breakdown, she scheduled surgery in December to implant a spinal cord stimulator, a type of pain treatment, thinking the dispute would end in days, not weeks. “I didn’t think I had anything to worry about,” she said. But as the days went on with no resolution, McCluskey filled out a continuation of care form with Anthem to try to ensure that her surgery would be covered in-network. When she didn’t hear anything, she contacted the healthcare advocate’s office to get information about the ordeal.